A new comedy venue on nearly the exact spot where the Compass Players, a precursor to Second City, performed in the 1950s, the Revival hosts a diverse mix of sketch, improv, stand-up and other entertainment. 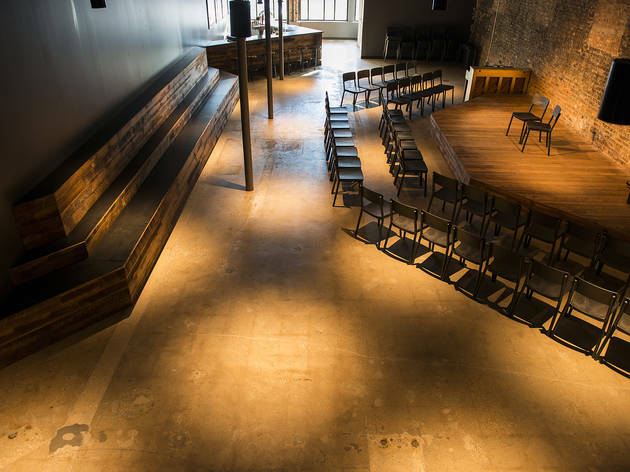 Great venue on the Southside of town where Chicago improv began! In particular, their improv classes are wonderful - at work we've used them for staff training and team building in the past and plan to book again! Instructors are friendly and encouraging, allowing for all different skill levels to participate and learn more about improv and the skill of working together to accomplish goals.